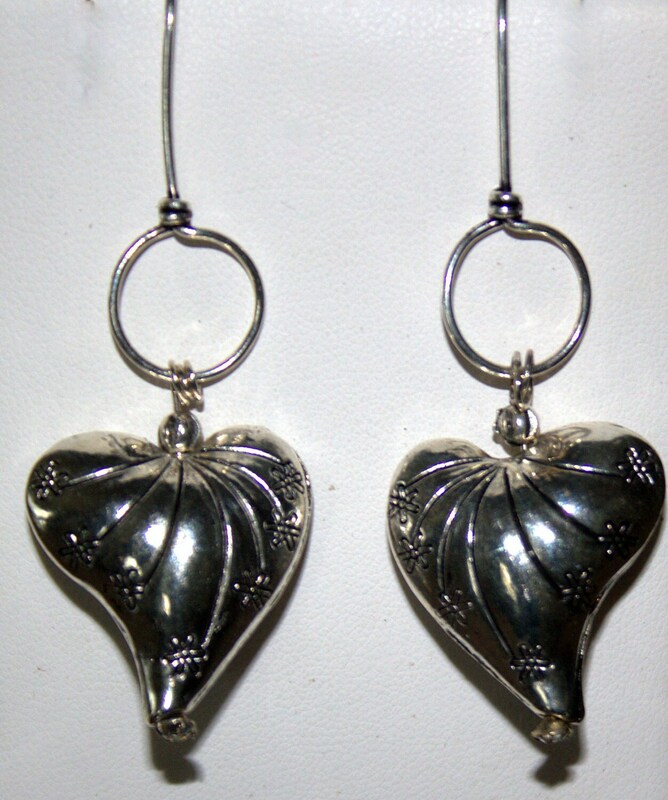 These are large silver plated puffed hearts with an Asian flower design motif. They have a crystal at the bottom and Bali silver accent beads. They dangle from a large loop with elongated ear wires to stabilize them. Even though they are a large pair of earrings, they are light weight. @ 2 1/2" long from the ear.